A bridge refers to any dental prosthesis that is attached or secured to a natural tooth or dental implant abutment in order to cover a space that is missing one or more teeth for functional or cosmetic purposes. A dental crown, on the other hand, is a prosthetic tool that is placed onto a damaged implant or tooth to “cap” or cover it entirely, and in the process, restore its form, function, and appearance. Modern dentistry provides you with multiple options to replace missing teeth or restore damaged ones in a way that maximizes both the functional and aesthetic requirements. 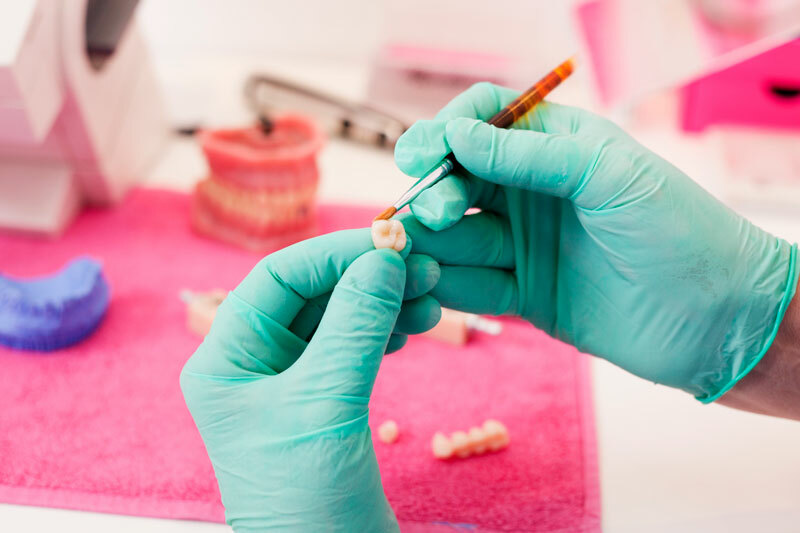 Whether you’re using a dental crown to repair a worn, broken, or fractured tooth, or a dental bridge to fill a gap between your teeth, both treatments are permanent, and can only be revised by a dentist. Dental Crowns and Bridges in Brentwood & Los Angeles, CA. Before finally agreeing to a specific treatment strategy, your dentist should inform you about the implications, possible sequela, and the expected life-expectancy of the work, including your options for continuing care. In all cases, the clinical benefits of fixed bridges and crowns should justify the choice of the treatment and outweigh their disadvantages. Your dentist should provide you with a number of dental treatment options for your cases. Either of these advanced restorative treatments should only be undertaken in situations where they clearly contribute to your oral health and wellbeing. Lastly, keep in mind that the success of any dental treatment also depends on your subsequent commitment to oral health care maintenance.